On a scale of 1-10, my enthusiasm level right now is at a roaring 10! It is Hoopfest Eve and everyone in the city of Spokane is gearing up for the best weekend of the summer. Starting tomorrow morning hundreds of thousands of people will converge in downtown Spokane to celebrate the biggest and best 3-on-3 basketball tournament on the planet. Out of the 300,000 people on the street tomorrow, you can count me in as one of them. If you are trying to find me, look for a dude in a bright green dri-fit fluorescent shirt. For the sixth consecutive year I will serve as a court monitor at Hoopfest. I take great pride in doing my best to make sure that at least 1 of the 450 courts at the event runs smoothly. Because I do take so much stock in what I do, I want to make sure I improve on my performance from last year when a few fights derailed the sportsmanship and solid game flow that I do my best to uphold during the tournament. Take this as my redemption year, if you will. 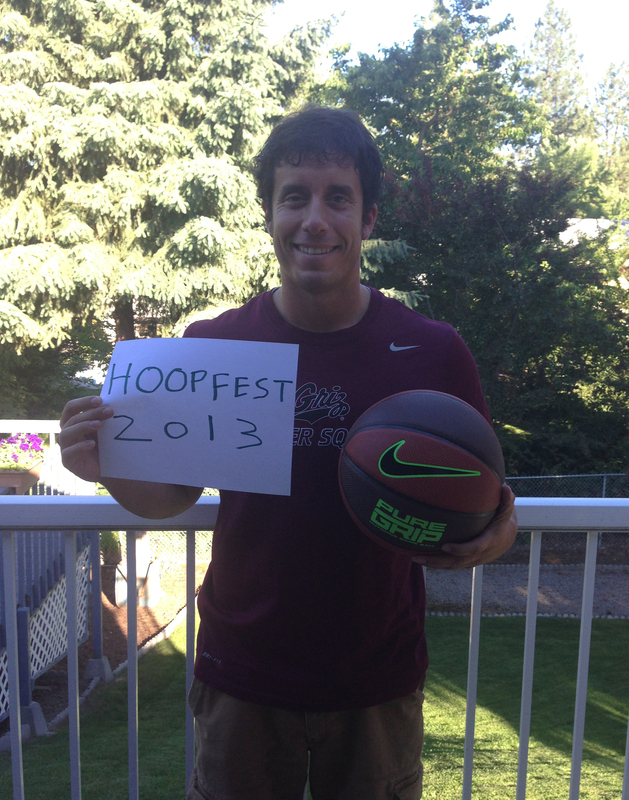 I am pumped up for Hoopfest 2013!! You know one of the main reasons why I love Hoopfest so much? Because every year they try to improve, something that gets kind of hard to do when you are already running an awesome event. The improvements can be seen everywhere, even when it comes to us volunteers. This year Hoopfest again outdid themselves with the gear they gave all of us court monitors. Everything reflects the hottest trends within Nike right now. The shoes are that mesmerizing dark yet light blue color with fluorescent green shoe laces. The hat matches the shoes with a blue cap and a hot green swoosh. The shirt that I will wear for two straight days is fluorescent green with the current popular Nike slogan of “(Spokane Hoopfest) Never Stops” printed on the front. The shorts might be the coolest pair of pants I now own as they are gray with a fluorescent green and blue design incorporated. I will have to pay special attention that no one at the court steals the ball as even that is pretty sweet! Who has ever seen a basketball that alternates between brown and orange and has fluorescent green mixed in? Hoopfest goes all out for its volunteers. Great gear this year. We got quite the forecast this year too! Both Saturday and Sunday call for temperatures hovering around the low 90’s. Saturday there is a chance of a thunderstorm or two in the afternoon and Sunday is supposed to be all sun, baby. I love the heat and welcome the rays all weekend long. Hoopfest Family Headquarters will once again be at my parents’ house. My brother already has his team here at the house where they will stay for the weekend. My cousin is due here later tonight with her two youngest daughters who will both be competing in the tournament. Then there is Paige and I who just arrived. This weekend Paige will experience her first ever Hoopfest! I tried telling her a little bit about it but just like with Las Vegas I told her that she would just have to experience it on her own to really see what it is all about. While I thought my on-court performance last year was a little lackluster, one of the high ranking Hoopfest officials thought differently. During the 2012 tournament when all the chaos was going on he told me he was going to assign me to the exact same court the next year because it took a special monitor to handle it. I thought that was just something he was just saying and would forget about…no and no. Once again I am at Washington and Spokane Falls Boulevard at the KXLY 4 #1 court. Please come see me and say hi! If you do, I might give you a coupon for a free Big Mac. Let’s get this weekend started! Have fun everyone, protect yourself from the sun, practice good sportsmanship, and be safe. 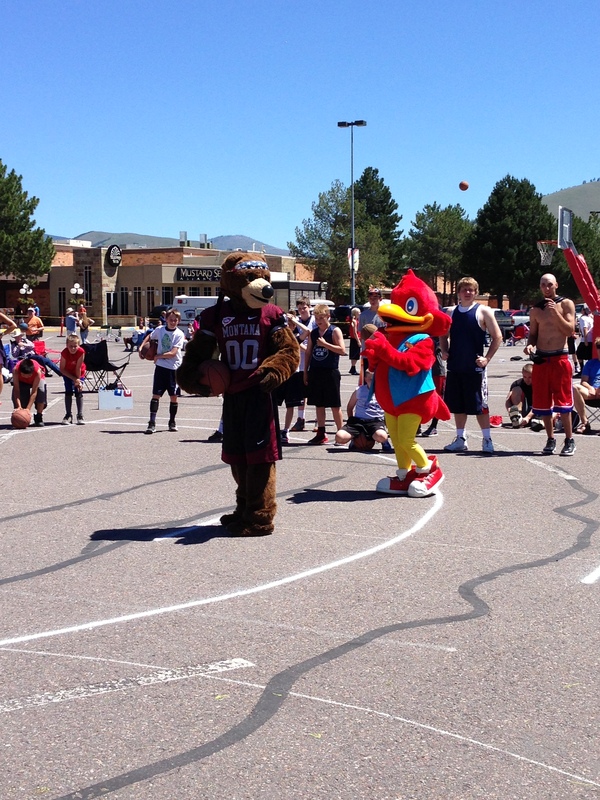 Hoopfest 2013…LEGGGGGGGO!!!! Don’t Blink. I have said before that if my apartment ever got caught on fire the one thing I would go back in for would be my journals. 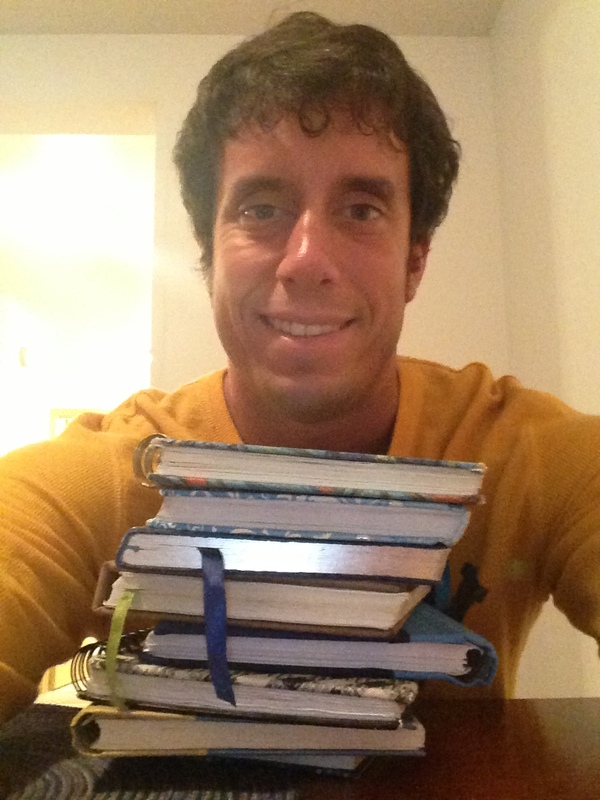 Since the seventh grade I have kept a daily journal and since that time there is not one day of my life not documented. Thousands of pages and about 12 different journal books chronicle the better half of my life. A few days ago I started thinking about ideas for blog posts and the concept of sharing a brief summary for a specific date of my life over a five year span popped into my head. I decided to run with it. I designated tonight as the evening that I wanted to write this post and a couple hours ago while I was researching through my journals I realized I have more here in my possession than I thought (I have several in storage at my parents’ house). In fact, I had double the amount of years available to me. So instead of five quick recounts of the various June 26th’s experienced by Brent Reser, you will get ten even quicker recounts of the various June 26th’s experienced by Brent Reser. I probably should have waited a week or two to put this concept into action because the last weekend in June is Hoopfest weekend, something that I always participate in. If I could contain my excitement for this blog post a little longer I would have waited, but I couldn’t, so please don’t get too bored with the continuous Hoopfest mentions you will see throughout the years. Now if you will, please come on this journey with me as we go from a young teenager Brent at 17 years old in 2004 to the mid-twenties adult Brent in this present year of 2013. I treasure my journals more than anything. I was participating in the Washington State Football team camp in Pullman, Washington, during my senior year at Mead High School. I got up at 7 a.m. and got a bagel for breakfast and then got ready for the last day of football camp. For the final day, all teams played mini games against the other schools present. Because we had performed well the previous days, we played against the other dominant teams. We tied against a team made up of solely all-stars (athletes who were invited by WSU to the camp) and lost on the very last play to a team called Liberty. After camp awards we had a BBQ right outside the field house and then we took the bus back to Spokane. We got back to the school and I took my teammate and friend Erik Lowe back to his place and then I went home and slept. It was the Sunday of Hoopfest and my team had made it to Sunday. I was on a team with my friends Corey Langill, Cole Steinbach, and Cody Lorenzen. Corey picked all of us up and we went downtown for our 8 a.m. elimination game. We played against one of the most bush league teams you will ever encounter and ended up losing in overtime in a defensive (foul fest) match, 12-10. After getting eliminated the four of us watched as a team that only had two players defeat a team that was at full strength. 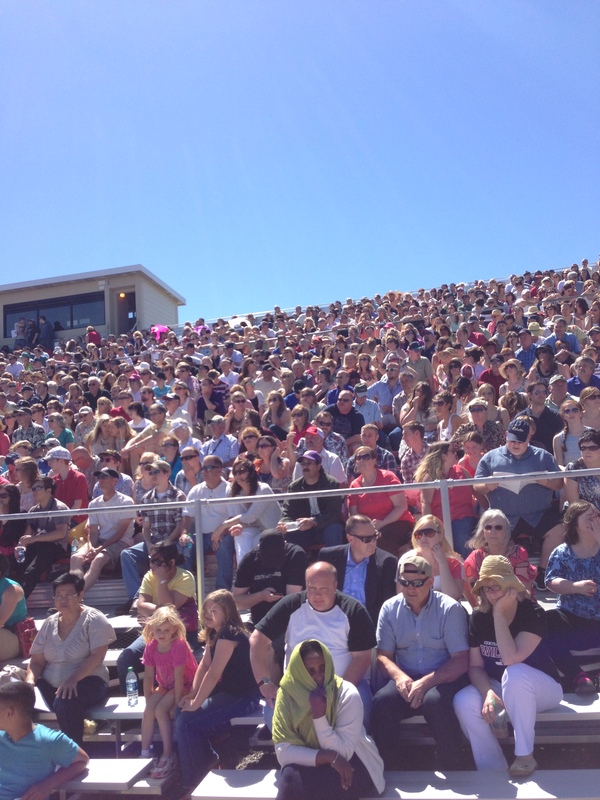 After that great athletic achievement I went home and made it in time for 11 a.m. mass at St. Thomas More. Our pastor at the time, Abbot Adrian Parcher, was saying his last mass at our parish. Later in the day I went to Lilac Lanes with Corey and Jordan Brink. I got up at 9 a.m. and went to Gold’s Gym where I got my arms workout in. A couple hours later my brother and I went to Taco John’s for lunch because I had a couple gift certificates there. Glen and I then came back home and played a couple games of “Ken Griffey Jr. Presents Major League Baseball” on Nintendo 64. Glen then got suited up in his real baseball uniform and I went and watched as his team (Mead) played Newport in summer ball. I left a little bit before the game was over and went to Northwood Middle School where I would always run during the summer. After my run I came home, showered, and then I went over to Michael Hoover’s house where I played in a $10 Texas Hold ‘em tournament with Hoov, Zach Nichols, Cody, Mike DeLaMatter, and others. In my entry I wrote that I got “sucked out” so obviously the outcome didn’t go too well for me. I got up at 6:55 a.m. and Cody and I went to the lobby of our hotel where we ate breakfast. We were in the Portland, Oregon, area doing road construction work for Cody’s dad’s company, Blackline. We picked up the equipment we needed in the Woodland area and then drove to Hillsboro where we worked the whole day grinding paint off the roads. It was such a hot day that we had more trouble than usual with the debris that we grinded up sticking to our shoes. For lunch we ate at an incredible little place called Aloha Teriyaki. We stayed at a hotel that night in Hillsboro called The Dunes and ate at an Italian restaurant called Amelia’s where I had spaghetti and meat balls. Cody and I then went back to the hotel and watched the Mariners-Red Sox game. I woke up at 8 a.m. and went to Gold’s Gym where I did squats and auxiliary lifts. I then went to downtown Spokane where I donated plasma at one of the dirtiest, sketchy centers you will ever come across. On this day it was a complete zoo as the ATM machine broke down and people were going nuts. I checked in, got processed, and by the time I donated the ATM machine was working and I had $40 in my pocket!! 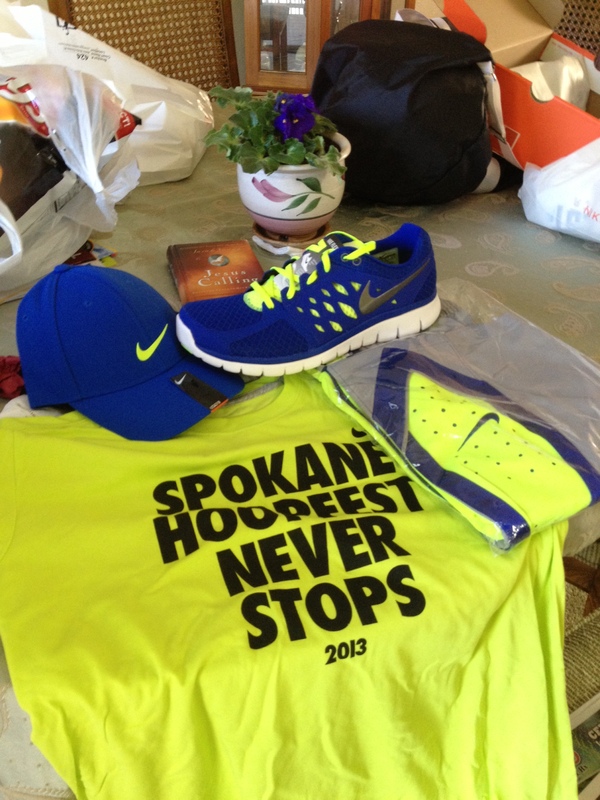 From there I picked up my gear for my inaugural year as a court monitor for Hoopfest. I then came home and watched as Derrick Rose was selected as the #1 pick in the 2008 NBA Draft. 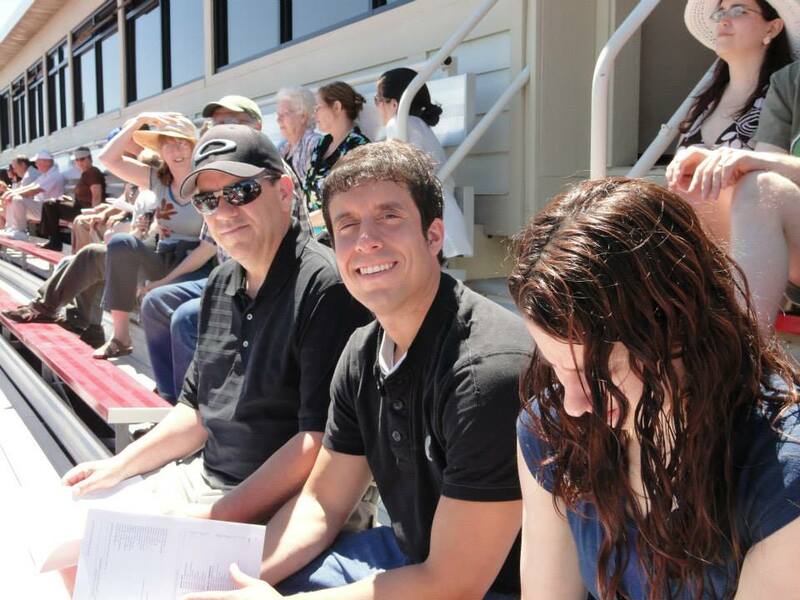 I then did my running at Northwood and came home where I did another money-making scheme I utilized that summer…working as an answer guide for the online service ChaCha. Living fulltime in Missoula, Montana, I woke up at 6:45 a.m. and made it to work at Grizzly Athletics where I was working in an interim position. I left the office at 3:30 p.m., put some gas in my car, and headed off to Spokane for Hoopfest weekend to court monitor for the second straight year. I made it to my parents’ house and we went out to dinner at a fabulous Chinese restaurant called the Cathay Inn. I feasted on almond chicken, fried rice, chow mein, prawns, and chicken noodle soup. We then came home and sat out on the front deck and watched as a neighbor dog named Skittles continually barked at our cat, Nabisco. Shortly thereafter, my cousin Kelly and her three daughters (Taylor, Emily, and Katie) arrived at the house as they would be taking part in the Hoopfest festivities the next day as well. I woke up a little before 6 a.m. and my dad, Glen, my cousin Cole, and I all went downtown for the first day of Hoopfest. I was assigned a “50 and under”, 6-3 to 6-4 bracket. I monitored 20 games that day with majority of all the action going very smoothly. The day started out overcast and windy but by the afternoon it was sunny and warm. When the action on my court ended for the day after the 20th game, I still did not have enough basketball in my system so I watched a random game on another court that was still being contested. We then came back to my parents’ house and we had a big backyard BBQ of hamburgers and hot dogs. I then promptly passed out from pure exhaustion. Wouldn’t you know it that I would be at Hoopfest again!? I woke up at 5:40 a.m., had a chocolate muffin for breakfast, and then went downtown for the Sunday of Hoopfest. As it was the second day of competition, the games got pretty competitive. 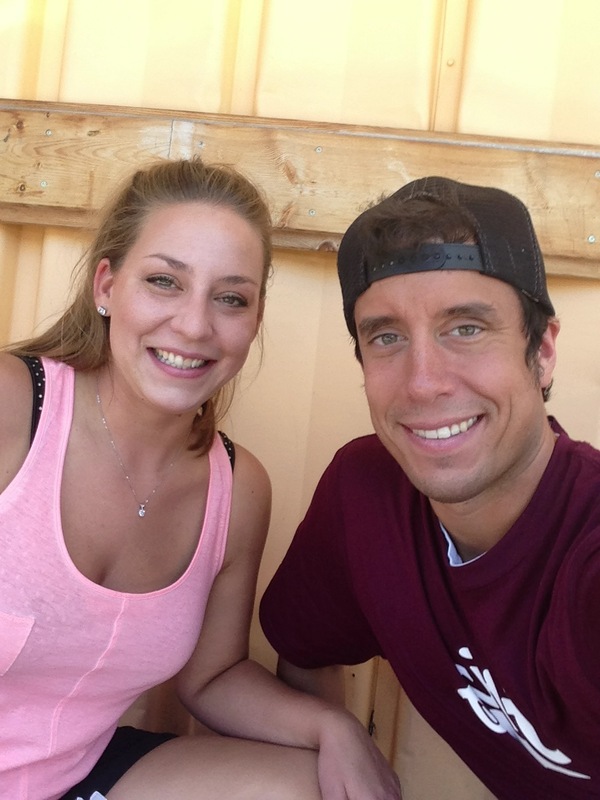 The previous day I met a new friend, Carissa, who was assigned to my court to monitor as well. On this day it was her birthday and we had a fun time celebrating it with the players in our bracket. A team called Four Locos came out of the loser’s bracket to defeat a team called the MFI All-Stars to take the championship on our Hot 96.9 court. After all the action I came back to my parents’ house and blogged and ate nachos that my dad made. I then went to the Elk in Browne’s Addition where I met Carissa and her friend to further celebrate her birthday. I got up at 6:45 a.m. and went to work at Grizzly Athletics. It was a Tuesday so I did a lot of the beginning of the week type things such as updating website features, drafting a web report, turning in travel reports for our mascots, etc. I went to the rec at noon and did arms and ran a mile. I came back to the office and ate my peanut butter sandwich for lunch, attended a meeting at the I.T. Center on campus, and worked until 5 p.m. I then went home, wrote a blog post, and then went to the Tamarack where I met my buddy Eric Fulton so we could do some stuff to my blog. It turned out that we could not access internet at the Tamarack so we moved to the Iron Horse where we ate dinner and created the current version of my blog. 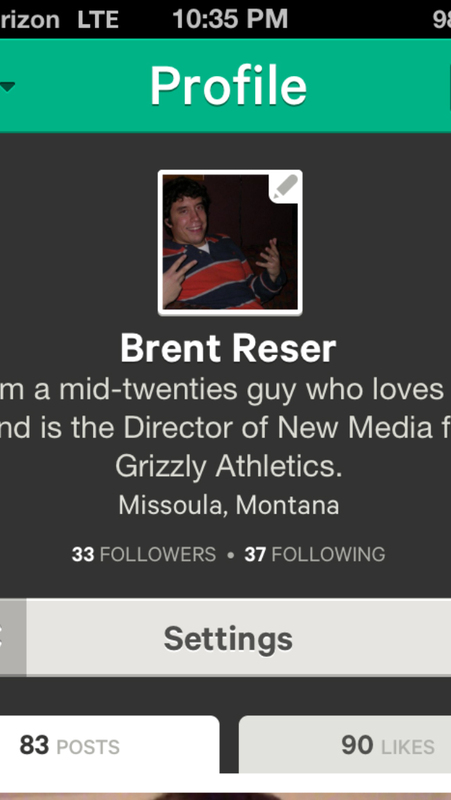 We got my site hosted by WordPress and I finally purchased my domain name, www.brentreser.com . Thanks so much to Mr. Fulton. Finally we are to the present! Throughout the past 10 years of this date, I got up the earliest today. I got out of bed at 5 a.m., got ready, did my morning routine and made it to work by 7 a.m. I took care of some things I needed to take care of and had a productive morning. At noon I went to the rec center and did the exact same workout that I did a year ago…and then came back to the office and had the exact same lunch I had a year ago as well. The afternoon went great and I came straight home after work, cleaned up my apartment, and read Entertainment Weekly. I started this blog post about 90 minutes ago and am almost done. Once I publish this I am going to jump in the shower and wait for Paige to come over so we can hang out and drink a beer. Ten years of my life…wow! Depressing thing is that I didn’t do anything spectacular or noteworthy throughout any of those days. The uplifting news is that I have a memory of each of them and I had fun during them all too. I plan to do this again down the road, probably on a date where I had much more diverse activities going on over the ten years. 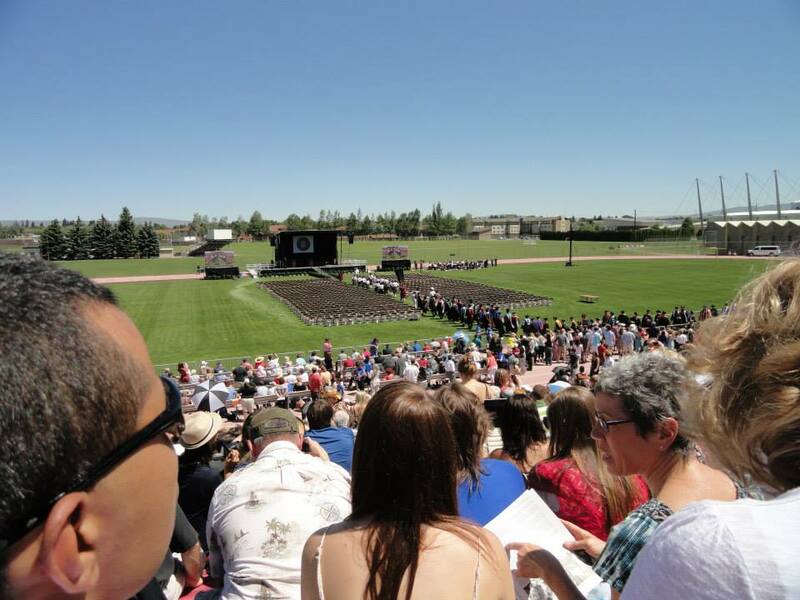 But like June 26, please don’t expect anything spectacular or noteworthy. Don’t Blink. Last night I finally got around to dining at one of Missoula’s new restaurants. As our city has had an onslaught of new businesses take up shop in the last few months my opening sentence is definitely a little vague. But let me narrow it down completely for you: Last night I had a chance to eat Brazilian food for the first time in my life. Yep, dead giveaway. 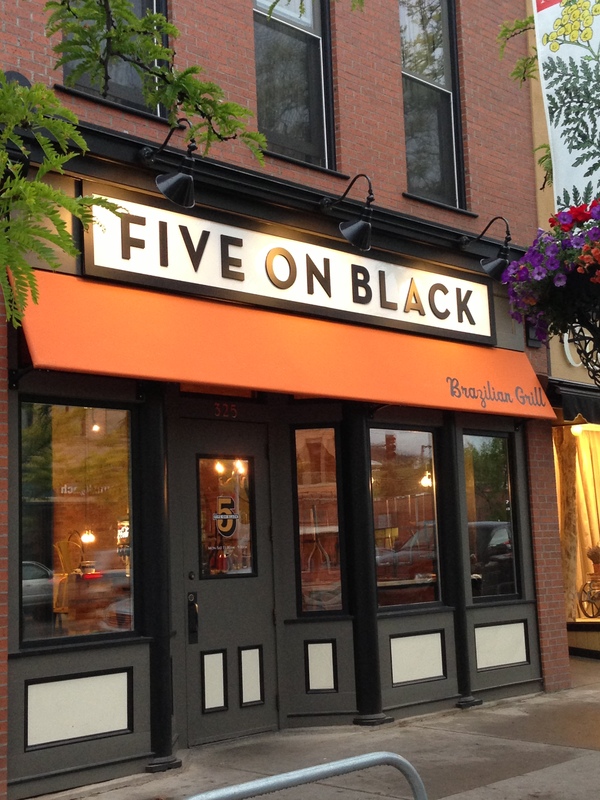 After having it on my to-do list for a couple months now, I finally got to eat at Five on Black. Nestled right on north Higgins across the street from Plonk and Feruquis, Five on Black definitely takes up residence in prime territory. On Monday night I parked in the alley way to the right of the restaurant and met my co-worker (for a few more days) and owner of Dickey’s BBQ, Jimmy. We arrived right when the dinner rush did which was okay because I needed time to browse over the chalkboard menu and decide what I was going to have. 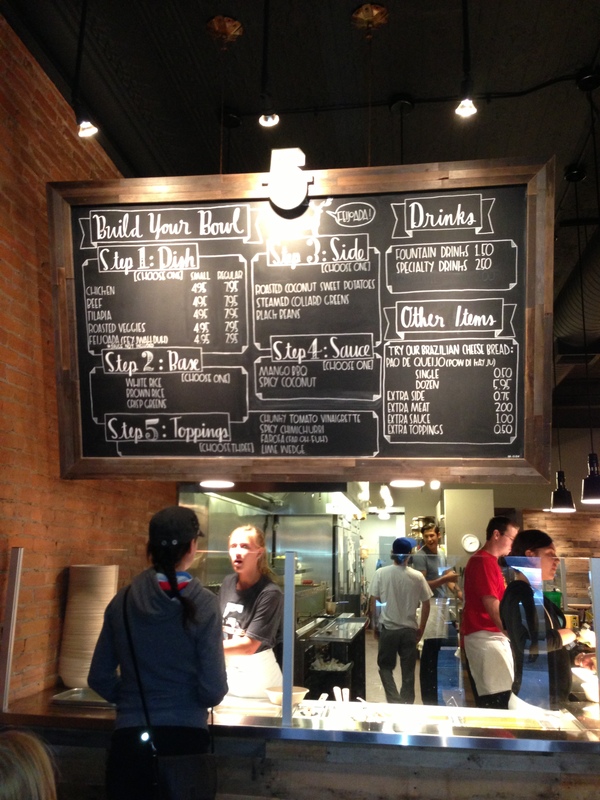 The Five On Black menu is depicted on a chalkboard. The set up of the restaurant is much like many of the new, “fast food-yet classy” type of places opening up these days…cafeteria style. You go up to an elongated counter and make several different food choices as you make your way through with the ending destination being the cash register. At Five On Black the ordering process is pretty simple, well at least the way it is organized on the menu makes it so. You follow five steps: You choose a dish and a meat, you choose a base, you choose a side, you choose a sauce, and then you choose a topping. The first part of the food line at Five On Black. I will quickly go through my order. You have a choice between a small bowl or a regular bowl. I purchased the regular bowl for $7.95. I decided to go with beef for my meat over chicken, tilapia, roasted veggies, and feijoada (I know, obviously not all meats). 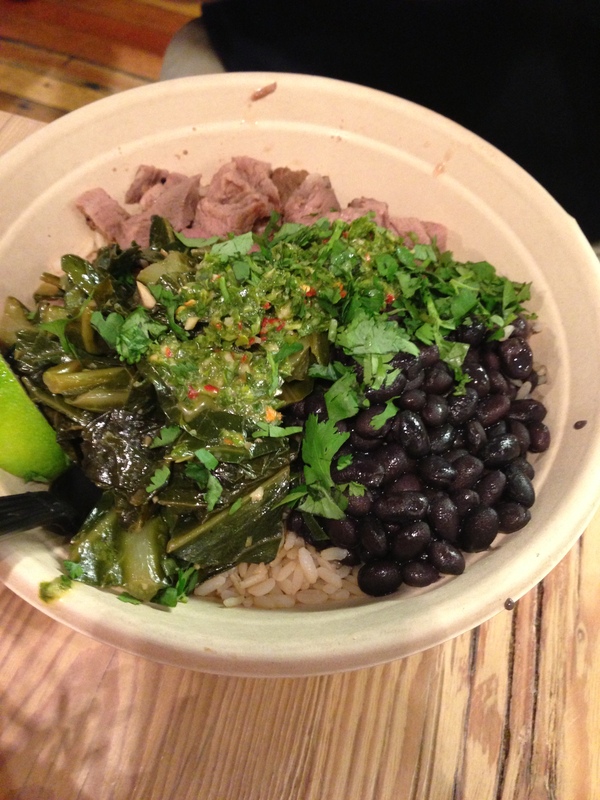 For the base you could choose between crisp greens, brown rice, and my choice of white rice. For the side you had the option of roasted coconut sweet potatoes, steamed collared greens, or black beans. I went with the coconut sweet potatoes. For the sauce I chose the mango BBQ over the spicy coconut. Finally you can choose a few toppings from lime wedges, tomato vinaigrette, spicy chimichurri, or farofa. Even though I didn’t know what it was, I went with the farofa…and I still really don’t know what it was. After I paid all tables were occupied but by the time Jimmy had paid a spot opened up and we sat down. So all of those steps and ingredients that I mentioned that went into my bowl? They were pretty much all mixed together, no compartments or effort by the employees to separate them. But that is exactly how I like it! I love having a big bowl of food to dig into, not worrying about what I should eat first or how to go about properly eating my meal. Also, it usually is a great way for ingredients to act together to create really special tasting flavors. I went about eating my bowl in a way that I described above…mixing all the various ingredients together and shoving them in my mouth. After several bites using that method, I switched it up and started picking out individual pieces of meat and potato, trying the rice with the sauce, trying the meat with the sauce, trying the potatoes with the sauce, trying the potatoes with the farofa, etc. By the time I had exhausted pretty much every combination I still had a bunch of food left in my bowl so I went back to just eating everything together again. My bowl immediately after paying. My meal was hearty and filling. For just under $8 you get a great value. I thought the beef was pretty good and I liked the texture of how the food all came together. I think I was expecting just a little bit more with the overall flavor. I couldn’t distinguish individual flavors as much as I would have hoped. I mean each ingredient definitely had its own specific taste but it wasn’t that abundant kick to your taste buds. Of course this very well could have been the way I chose the makeup of my bowl. Maybe if I added more sauce (or went with the spicy coconut sauce), went with different toppings, or maybe got the brown rice there would have been more of a distinctive flavor. 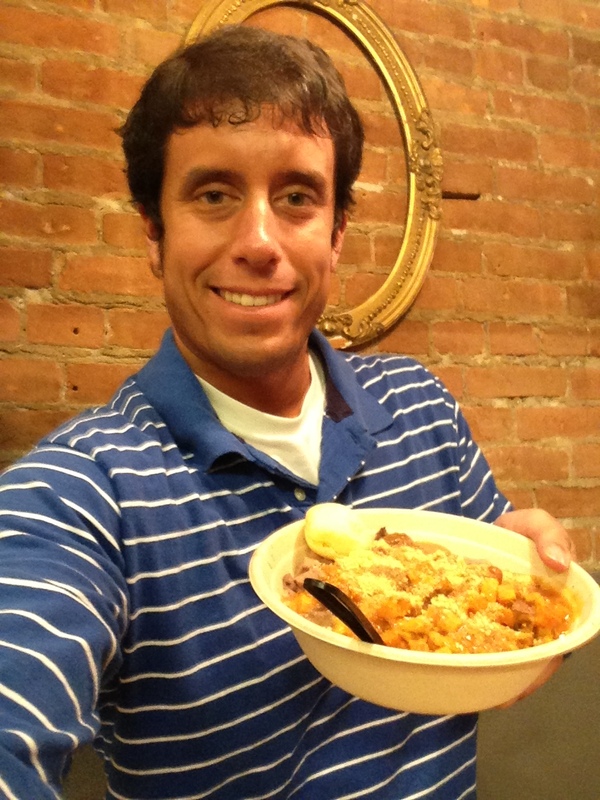 I was a happy guy with my big bowl of Brazilian food. If not for Jimmy telling me beforehand what the menu was like, I would have had no idea what I would be eating when I walked in. Honestly, what is Brazilian food?! But after Jimmy gave me a little preview and when I finally got to try it out myself, I quickly learned that I could live in Brazil. Who doesn’t like rice, meat, and potatoes all mixed together? Jimmy made a good point, he said the food served at Five On Black would make the perfect filling for a mission style burrito. 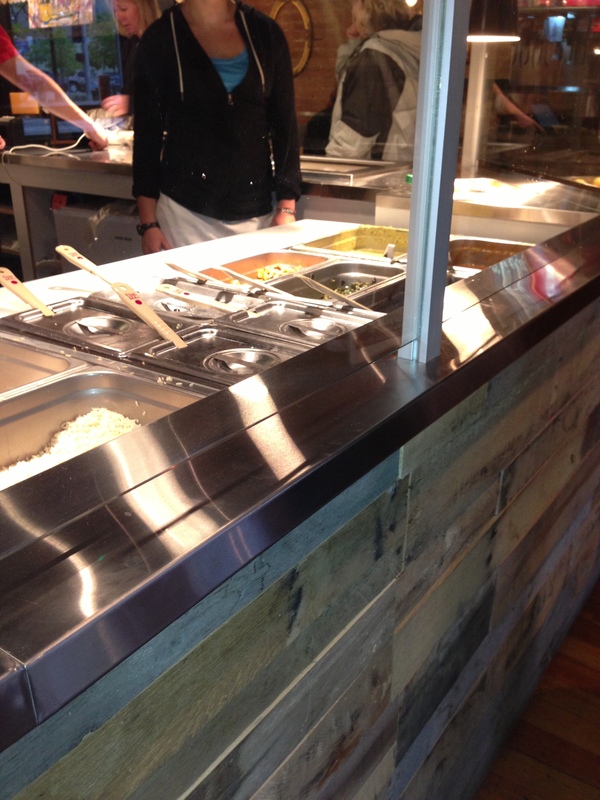 He is right, when you dine at FOB you are definitely eating a naked burrito so to speak. But there is nothing wrong with that…sometimes I rather eat a goulash of tasty ingredients right from a bowl with a fork instead of going through the messy task of chowing down on a bursting tortilla. I would eat at Five On Black again because the value is great. I would change the composition of my next bowl and see if I could bring out the flavor a little more. 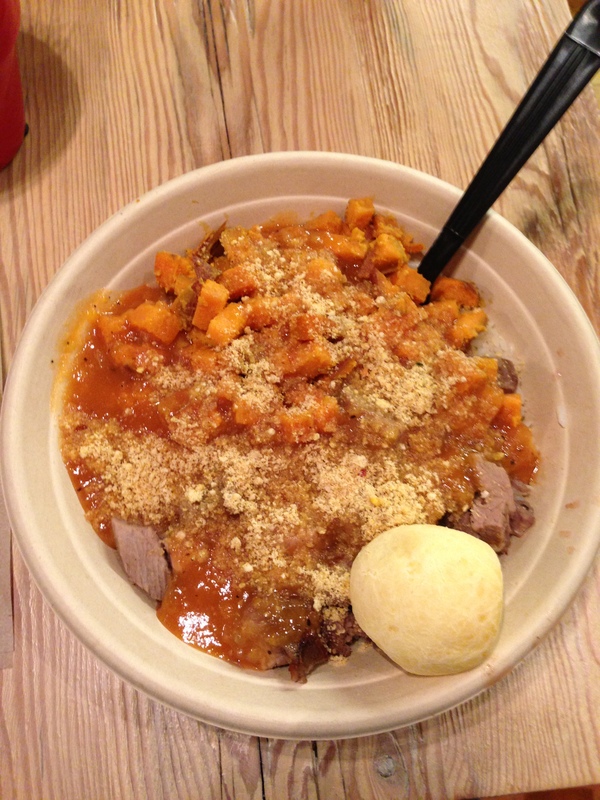 If you want to brag to your friends that you have ate Brazilian food before, definitely give Five On Black a try. Don’t Blink. It recently happened again. Call me a softee but I can’t help but feel sorry for these people, many who are young professionals, who slip up and fall victim to the viral scrutiny and humiliation that follows. While many of these people who I am talking about previously aspired to have their work viewed on a national level, after the disaster happens almost all wish they had never made such a seemingly good-natured goal beforehand. Yesterday the unfortunate event happened at a news station in my old hometown of Spokane. During a 10 p.m. newscast for FOX KAYU (a station that uses the resources and talent of the more well-known KHQ), a news reporter named Lindsay Nadrich plainly used two different versions of the F Bomb during a story. Lindsay was working on a piece about strawberry picking and stumbled through her words while speaking, causing her to utter the profanities. The major point that anyone working in the news industry will immediately point out about this incident was that Lindsay’s mistake should never have reached airwaves. She shot the story early in the day and for whatever reason, the outtake made it on the newscast. Most people in the profession, including Keith Olbermann who Tweeted support Lindsay’s way, placed full blame on the editor of the story. But of course it didn’t matter that someone else let the profanity get on air or that Nadrich didn’t make the gaffe during a live newscast at the anchor desk. What mattered was that a ten second clip existed of a typical reporter doing a typical story in a typical city where the wholesome premise of the local news took a very unwholesome slant…viral gold. The Lindsay Nadrich incident spread like wildfire through the digital world today. Jokes, condemnation, and sarcasm were unmercifully leveled at the poor reporter. Comparisons to the infamous A.J. Clemente meltdown surfaced. Debates on whether she should keep her job raged. Here is why I always take the reporter’s side in these situations: First, they are held to a much higher standard than most other professions when it comes to language. While 99% of us could probably get away with accidently slipping up and saying a bad word once or twice, with news professionals it is the kiss of death. Many get terminated a couple days after. Mainly though, I just hate the aftermath of such a mistake. These people get their reputations and dignity pulled through the mud while the whole nation watches. Their name becomes synonymous with failure. A Google name search that once yielded lots of hits showing off the reporter’s work now just shows 100 different versions of that one clip. It is a tough way to go down, especially for someone so young. I get it that news journalists are trained, counseled, and directed to never even think about uttering an obscenity while a camera is rolling. I know there are thousands of reporters out there who probably have perfect records and shake their heads when someone from their industry messes up in this way. I know that many people probably think the higher standard I spoke about above is absolutely warranted for the journalism industry. Maybe so. I just grimace when I see the nasty fall that people take after making such a mistake. After the fall, there is the attempt to recover. Clemente went on Letterman, got some good exposure poking fun at himself. But again, the history and the YouTube clips stay with you long after the time in the spotlight is over. The type of work that these people chose because they loved it and had a talent for is sometimes no longer a possibility. I feel for Lindsay Nadrich tonight, along with all the other hard working reporters who have met similar fates. Don’t Blink. Okay, okay, okay….the joke is definitely on me. Last night I pretty much got down on my knees and waved my arms up and down in a “We’re not worthy” motion and glorified Vine as the solution to coming up with unique content across all social media channels. If that display of admiration didn’t sell how all-in I was with Vine there was that other post I wrote a little over a month ago christening Vine as the future of social media. Today, just about 12 hours after writing my last post, Instagram made an announcement. No, not just some minor release about privacy settings or the addition of a new picture filter but rather they made “The Announcement”. In a move that made the social media world go berserk, Instagram informed the public that the service was now video capable. Introducing 15 second videos with 13 different filters, Instagram pretty much crushed the current version of Vine in multiple ways. Basically, Instagram came through with a big time walk off homerun at Vine’s expense. 1. Instagram is now more powerful than ever before. The service skyrocketed to stardom about a year and a half ago and stayed on top for about 12 months. Once Vine went mainstream and other social services started to emerge, Instagram lost a little bit of its luster. Not anymore. Instagram has reclaimed its supremacy as the #1 social media app. It now challenges Facebook for the most powerful social media service period. 2. Competition is wonderful in any industry and the same goes for social media. When apps and services continue to push out top notch and improved products in response to a competitor’s latest version, we as consumers win. This is a great day in social media even if it makes me look like a total moron. 3. Don’t count Vine out yet. Although it appears that Instagram could have delivered that knockout blow, let everything settle for a month. Let’s see how well Instagram’s video feature functions. Can it keep up? Will videos load quickly? Will it do anything to mess up the main photo feed? Also, let’s be fair to Vine and give them a chance to respond. What will they come out with to combat this significant move by Instagram? Will they do anything to try to keep the Vine loyalists sticking around? This will be interesting to observe and we do need to let it play out a little bit before we erect a Vine gravestone right next to the Myspace one. 4. Don’t get me started on the people who are resisting this move by Instagram. Can you believe that some folks are upset that IG would introduce video? There are Instagram purists out there who believe the service should for the next 100 years be devoted strictly to still photos. They are the same people who whine about every update Facebook makes and still detest the Timeline. Come on, social media sites evolve over time, change is a constant in this industry. 5. Finally, my point from last night still stands (about the functionality of Vine, not necessarily its supremacy). You can use many images from a Vine video to create unique content across all of your other social channels. The one advantage that Vine has over Instagram video: When you pause an IG video, the annoying pause icon comes up in the right hand corner. 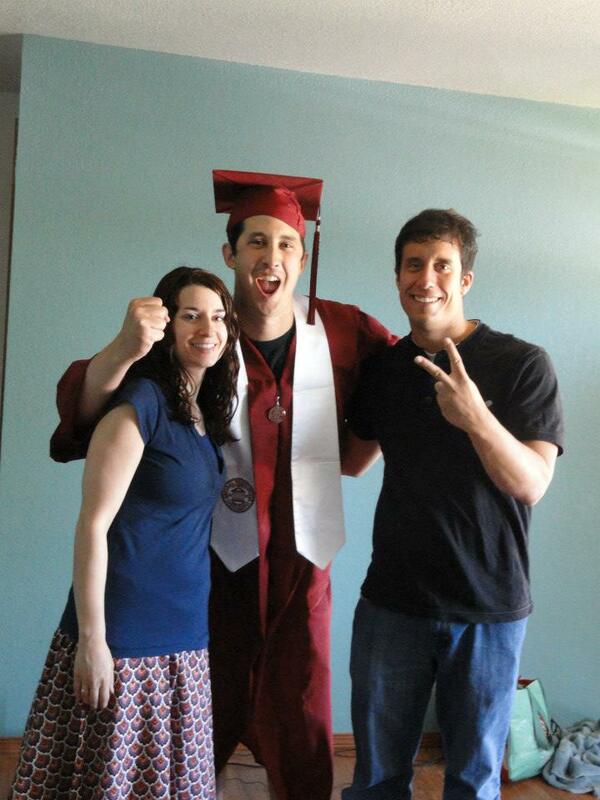 This of course makes cropping it out impossible if you want to save the integrity of the whole picture. Vine still allows its videos to be converted into flawless images without the necessity of cropping out an annoying icon. At least I saved a little face. Historic day in social media! Let’s keep with the competing and evolving of social networks, it is just too fun…even if it makes me look like an idiot. Don’t Blink. It used to be bad enough when people would link their Twitter accounts and Facebook accounts together and send the exact same content simultaneously to both services. I cringed seeing a 50 word post that originated on Facebook get cut off halfway on Twitter. Or maybe even worse, I got turned off right away when I saw a tweet show up on my Facebook newsfeed with five different hash tags and a big Hootsuite or Tweetdeck logo accompanying it. Forget the fact that Facebook now has clickable hash tags, back then it just showed laziness and lack of understanding by the user over two different social media outlets. Of course, over time this issue of duplicating content over different social media outlets has gotten worse. As new platforms have come in and gained popularity, people can now easily share the same content over three or four social networks at once. A year ago the annoyance I saw too many people do was take a picture on Instagram and send it out to Twitter and Facebook simultaneously. Besides the formatting nightmare that this reflected on the social sites other than Instagram, it just became tiresome to follow a certain person through various networks and know that you were always going to see everything they posted 3X. Before I get to the main point/solution of this post let me say this: Sometimes we take awesome pictures that do need to be shared across all of our social networks. I get that. It happens with me sometimes and it also happens through the accounts I run at Grizzly Athletics. However, when this is the case post the picture separately on each respective account just so you can format it correctly. Not only will it make you look not so lazy but it will also make your posts look much cleaner and you will gain many more impressions, “likes’, retweets, etc. When we do something worthy (or even unworthy) that warrants posting to all of our social media accounts, I firmly believe we need to document it in a unique way on each of our social platforms. So yes, preferably, when you go to Buffalo Wild Wings you need to cover it in a way that your Facebook, Instagram, and Twitter accounts all show something original from each other. A few months ago this principle that I am preaching would take quite a bit of work and require a lot of different shots with your iPhone camera. However, since then, a service has come along that has made this process easier. Hands down, Vine is the coolest and fastest growing social media service available right now. About a month ago I gave a glowing review of the service so if you need a refresher on the details of Vine, check out that particular blog post. Anyway, not only is Vine a tremendous app by itself, but the content you record off of Vine can dramatically bolster your other social media outlets. Just like everything else, please refrain from posting every single Vine you record directly to Facebook and Twitter. I would advise to never post a Vine on Facebook. It looks awful on the timeline, a lot of people on Facebook don’t get it, and most Vine videos rarely receive any “likes”. If you make a really cool Vine and your caption for it translates to Tweet-speak go ahead and post it to Twitter but make a general rule to only do this for 15%-20% of your Vines. Okay, enough of all of my disclaimers! From time to time it takes me a while to get to the point. Anyway, with Vine you have a six second video of some story, event, or situation. Within those six seconds of video, you have hundreds (maybe even thousands) of images at your disposal. Remember back when you were a kid and it was so much fun to pause a video you were watching and capture still images?! Well you can do that with Vine only this time around the picture is clearer and with one simple move you can save it forever. This move is simple. When the Vine video is playing, simply tap the screen to pause it. It will take some playing around but once you pause the video at the exact time that you want, activate the screen capture command on your iPhone. Now go to your camera roll, pull up the picture, and crop out the Vine interface surrounding the image. Save your work and you now have a perfect image that you were crafty enough to capture off of video. Cool, huh? 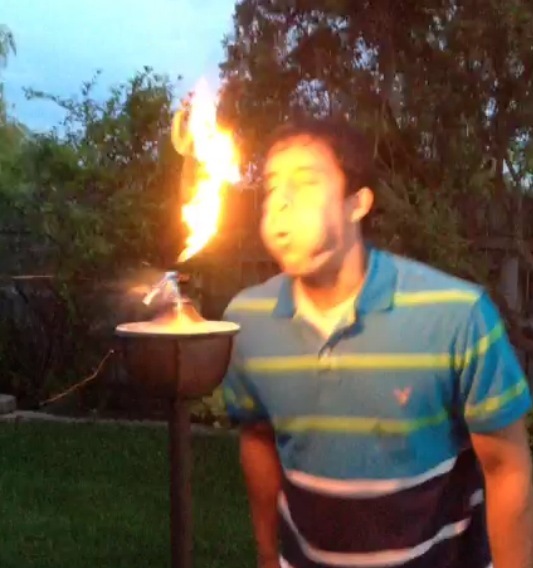 I caught this cool image by using a Vine video that my girlfriend took. Would never have been able to capture this with an iPhone. Use images captured from Vine videos to supply unique content to each of your social media outlets. Let’s go back to the Buffalo Wild Wings example. Let’s say you take a Vine that includes you entering the restaurant, sitting at the table with your friends, ordering from the waitress, scanning the numerous televisions, scoping out everyone’s orders, and finally smiling with a big plate of wings in front of you. Okay, you got the cool Vine video taken care of with you at BDubbs but now you got to document the experience on your other social networks too. Working directly from your Vine video, let’s get to work. Let’s first start with Twitter. A perfect tweet for this occasion would be something like this: @BrentReser Watching the NBA Finals at BWW with @ImaginaryFriend , @FriendWhoDoesntExist , @WishIHadFriends #winning . Okay, now you use the Vine footage you took of your table to produce the picture that will go with this Tweet. Just pause the video right when it gets to the shot of your friends and go through the process I outlined. Attach that picture to your tweet and send away! Time to move onto Instagram. Vine is PERFECT for making collages and this is what we are going to do for our Instagram image. For the make believe Vine video to Buffalo Wild Wings I mentioned six different scenes. Simply capture a photo from four of those scenes to make a cool collage (I am leaving out the two scenes that we are using for the other social platforms). You will have a nice montage of the actual restaurant, the waitress taking your order, the cool TV set up, and then the table full of everyone’s delicious wings. Give the collage a simple title such as A night out at Buffalo Wild Wings #BWW #Winning . Now time to finish with the king of the social networks, Facebook. This one is all about you. Simply take the ending scene of the Vine video of you with a mile wide grin and a big plate of wings and capture it. Now post it to your timeline with a caption such as Great night at Buffalo Wild Wings. Time to devour these wings. Watch as this single original picture you put up garners numerous likes and comments. It is important to form a consistent brand of yourself throughout all of your social media networks but it is equally important to establish it in a unique and fitting way through each individual service. Vine has made it easier to accomplish this goal. Be creative and give your followers something different through each one of your social platforms. Don’t Blink. This past Sunday as I was enjoying a day at the pool at my apartment complex I noticed some cheerful kid’s music playing. I looked up from my chair and past the gate that surrounded the pool area and out onto the street that runs right through the middle of the apartment complex. What I saw slowly moving by brought a smile to my face. I guess before the smile crept on my face I had a mild sense of shock. I mean I had no idea that an ice cream truck would ever take the time to visit my apartment complex! But when I realized that there are a lot of children that live around me and that kids who live in apartments deserve ice cream just as much as kids who live in houses it made sense, and a feeling of happiness went through my body. In fact, I almost left my spot at the pool and dashed through the gate to flag down the truck and buy some ice cream. Actually that is a complete lie. These days I would never buy a popsicle from the ice cream man but that didn’t mean I didn’t think about back in the day when I couldn’t live unless I got a treat from him. Back when I was seven years old, I proudly professed to my parents and my teacher at school that I wanted to be an ice cream man when I grew up. This was after my President of the United States dream and before my professional athlete aspirations. 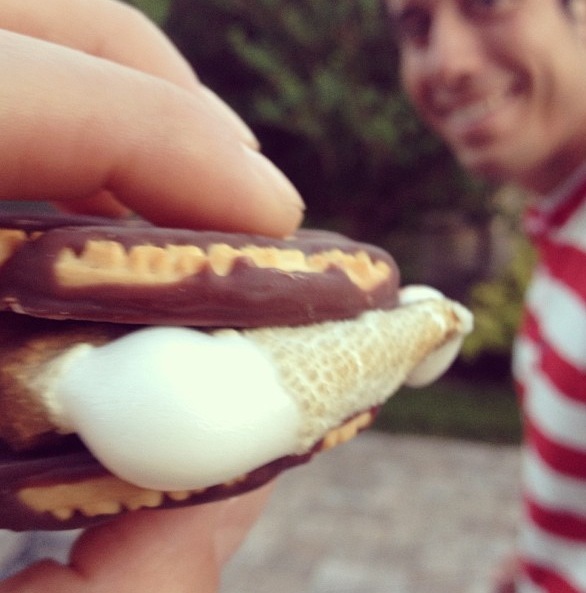 I am not kidding though, I legitimately wanted to be an ice cream man. I thought he had it made. He got to ride a cool little truck around, had an endless supply of ice cream in the back, and hauled in all those quarters and dollar bills from everyone! I thought he had to have been one of the richest dudes in the world. Along with professional wrestling, the U.S. Presidents, and vampires, the ice cream truck/man was another thing I was fascinated about when I was really young. I would wait all year long for summer to come and once it did I would sit out on the front porch and wait for the ice cream man to come. Of course he probably only came 5% of the days during the summer but it didn’t stop me from wasting precious childhood moments hoping he would come all those other days. I would psych myself out believing that I heard the ice cream truck’s music when I really didn’t, listen to my sister when she would lie about seeing it, and convince myself on several occasions that he for sure would be coming that night when he never did. The 5% of the time that the ice cream man did come during the summer I was either in two locations. The first was at the dinner table. My parents would cringe when we would all be eating a nice meal and then all of a sudden you could hear “The Entertainer” music shooting through our open windows and sending the three of us kids into a frenzy. The other time he would come was when I was in bed. My parents put us to sleep at notoriously early times…I am talking bush league times. On many occasions the ice cream truck would roll through our neighborhood a little past 8 p.m. and we would be in our bedrooms. Besides when Santa Claus would come through on a fire truck in the winters, this was our only other “Get out of bed” card. We would hear that music and my parents would just concede to us jumping out of bed and begging for money. And that brings me to my next point. My parents maybe paid for ice cream about half the times he would come by. The other half of the times I was either counting out pennies or going without. Although completely enraged during the times I did not get ice cream, now as an adult I can look back and realize it was just part of my parents’ plan to instill discipline and self-control in us. Just a little bit on my childhood ice cream truck and the products offered: The ice cream truck that serviced me throughout my younger years really wasn’t a truck at all. It was more like a golf cart that had a large freezer built in the back. Sounds pretty tacky but it did look presentable and was always freshly painted and in working order. Throughout the years I have seen some sketchy looking ice cream trucks so I feel fortunate that I ate ice cream from a vehicle that didn’t look like it was smuggling drugs. Our ice cream truck served (for heavily inflated prices) popsicles, ice cream sandwiches, ice cream bars, malt cups, and my favorite, sherbert on a stick. Whenever the truck would come by there would always be a special sherbert popsicle dessert in the form of some character. Sometimes it would be Mario, sometimes it would be a Ninja Turtle, sometimes it would be Tweety Bird. Whatever it was, it would always have bubble gum added in some way! Like Mario would have a bubble gum nose or the Ninja Turtle would have bubble gum eyes. Even though the bubble gum was hard as a rock and had absolutely no flavor I thought it was the coolest thing ever. I don’t mind when something reminds me at my old age of something from my childhood. Not only does it send good feelings throughout my soul, it also gives me something to write about. Although I now buy my ice cream from a grocery store instead of a vehicle I appreciate what ice cream trucks do to highlight the joys of being a kid. Don’t Blink.